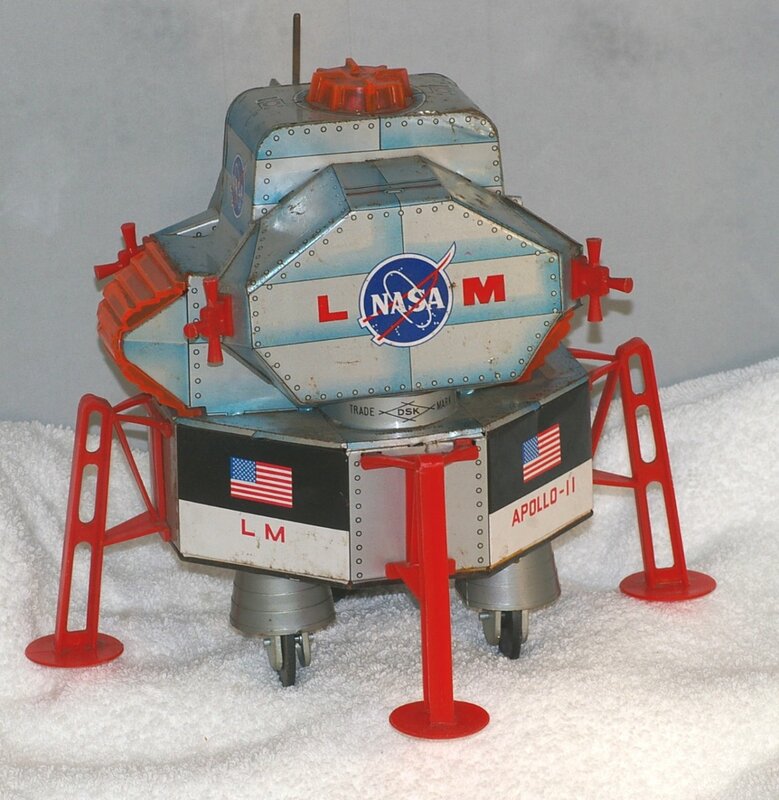 Home Space Apollo 11 Battery Operated Lunar Module. 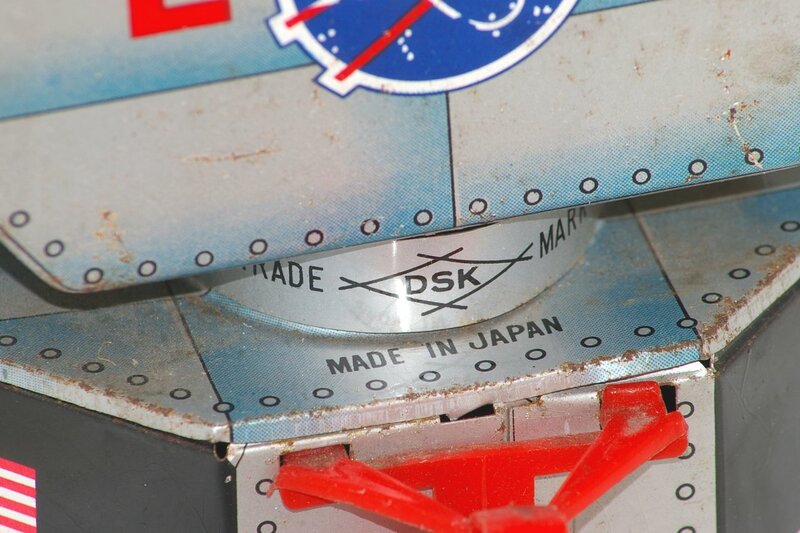 DSK Japan. Works! July 20, 1969. 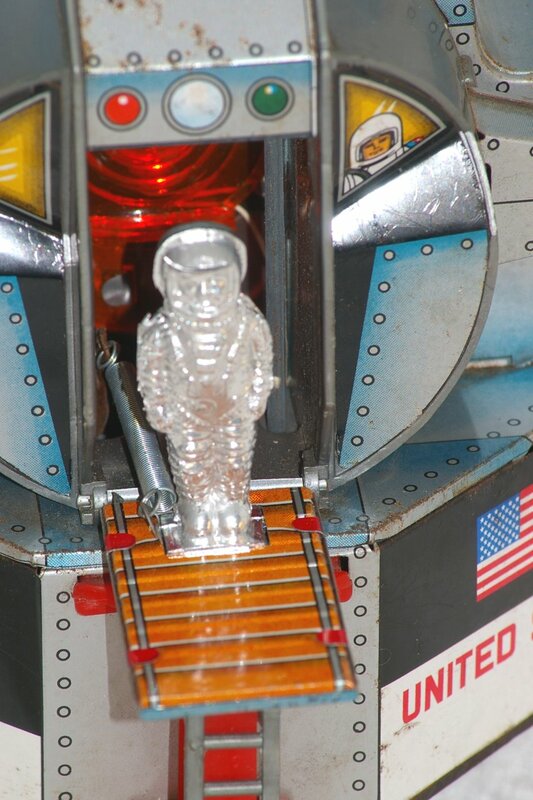 It's hard to believe it's been 50 years since man first set foot on the Moon. We can hardly imagine how crazy the world went around that event. 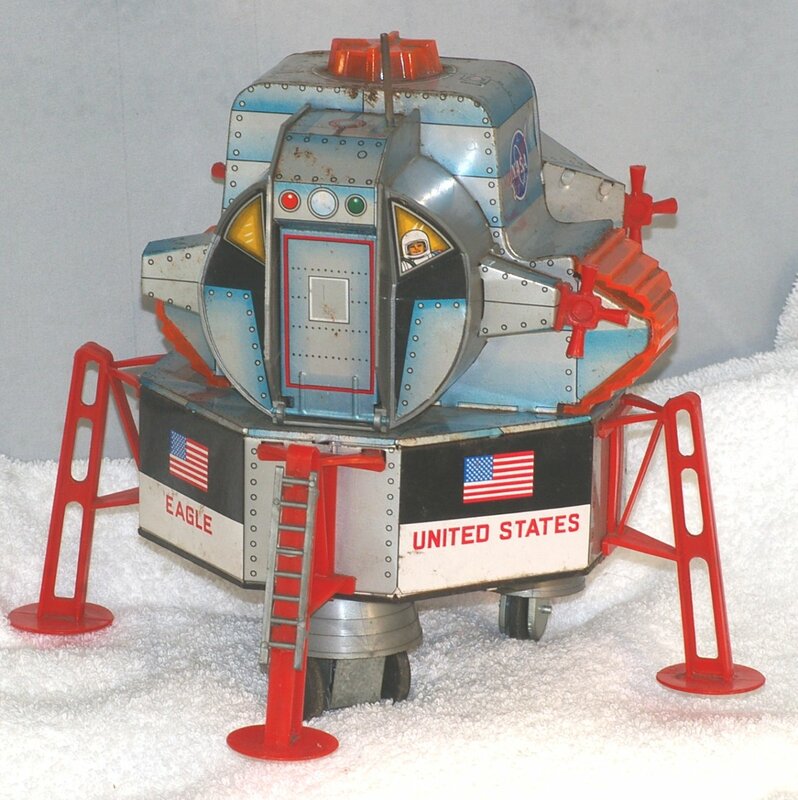 A good example is this Japanese battery operated tin toy. 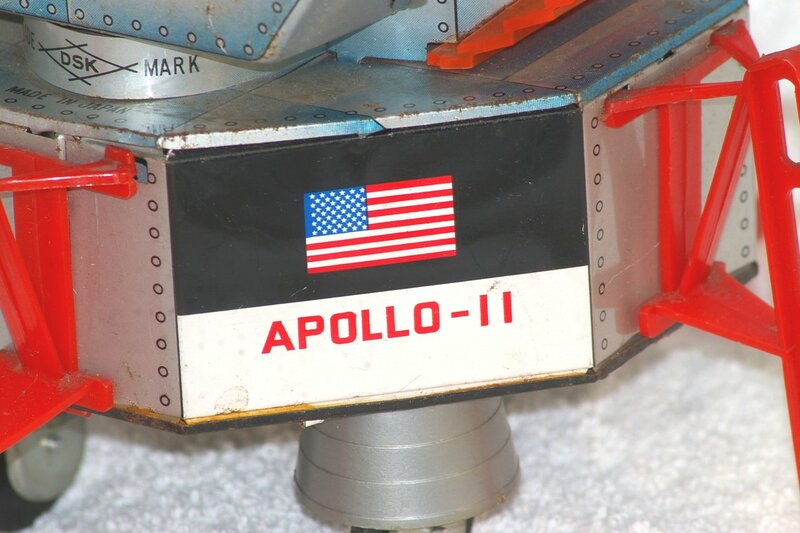 It was made by DSK (Daishin) of Japan, probably right around 1969, since it is marked "Apollo 11". As Japanese space toys go, this one is surprisingly accurate. You can actually tell it is a Lunar Excursion Module from across the room. It's pretty big too. It's roughly 7 1/2 inches square and 9 inches tall. 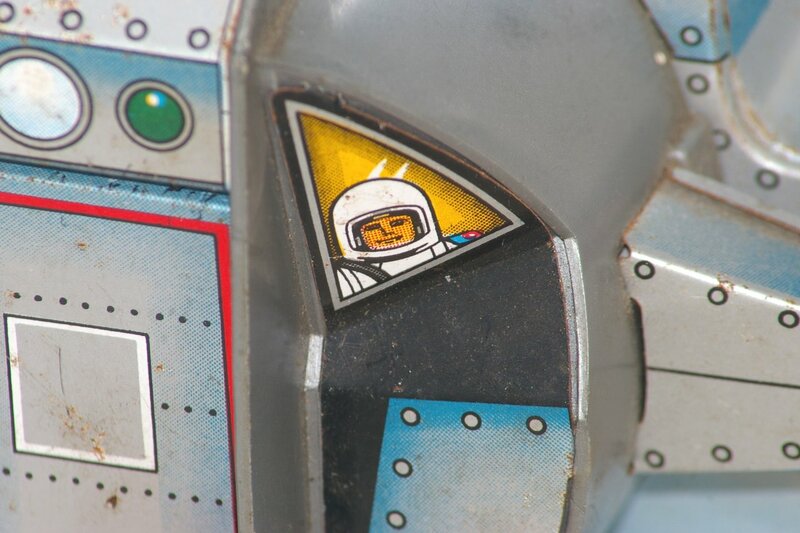 It's mostly made of lithographed tin with some plastic accents. This thing still works! 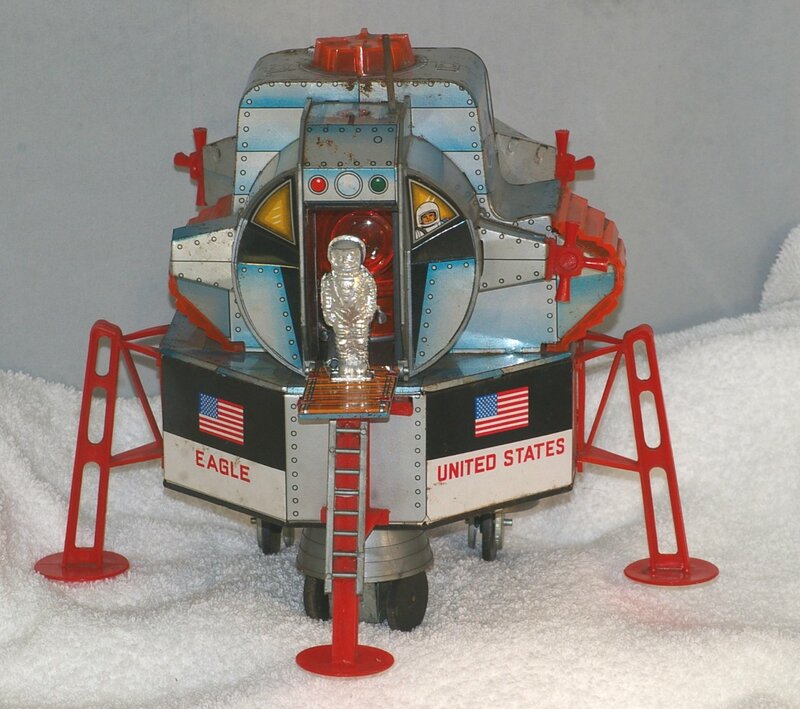 When you turn it on, it moves around the room, then stops as the door opens and Neil Armstrong emerges. There's supposed to be an antenna on top spinning around. I'm sure you could replace that. There may be supposed to be lights or a sparkler running, but that doesn't appear to be working. 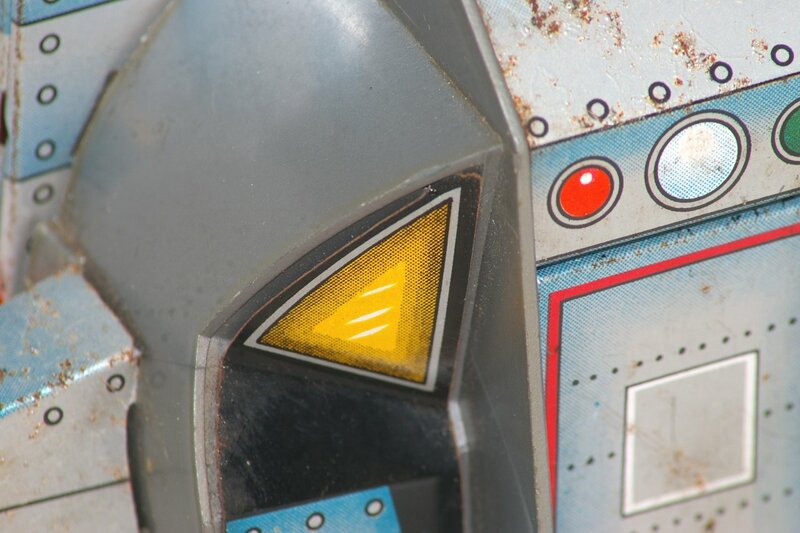 Still, it's a 50 year old battery toy that works! The attention to detail carries over in the tin lithography. You can see Buzz Aldrin looking out of the window. I think it's a nice touch that they left Neil's window empty (since he's coming out of the door). The condition isn't perfect, but it is very good. 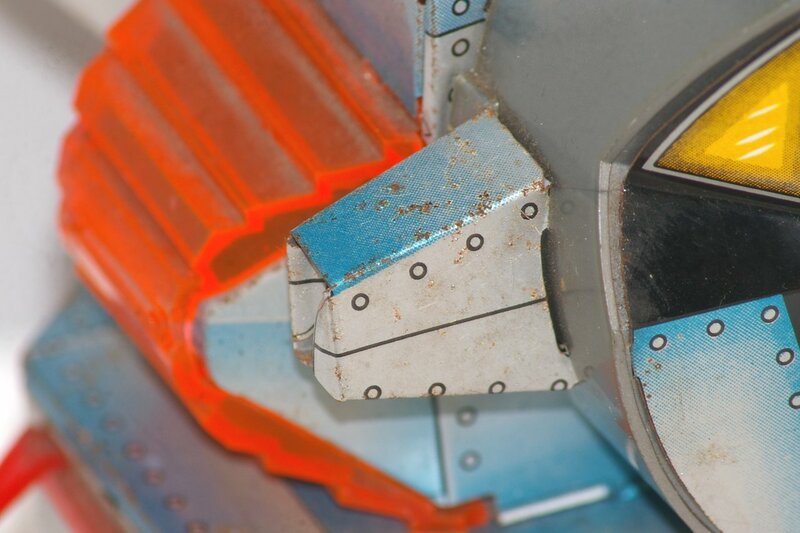 There's some rust spots here and there, but nothing that takes away from the look of the piece too much. There's also one steering thruster missing to the left of the door. This is one cool looking toy. Looks great on the shelf. You can show your friends how it works. Plus, it's a piece of history!